It used to be a bit square to worry about your fuel economy – it was something only your dad would talk about – but in these days of rising energy costs and environmental awareness everyone's doing it. There are lots of things you can do to reduce your fuel consumption, both by using the new technology that's coming through and by modifying your everyday driving habits. Some of these tips apply to conventional gas guzzlers, and some to electric and hybrid vehicles – and a few are simple common-sense rules that you should follow whatever you're driving. Keeping the junk out of your trunk, as it were, means your car's lighter and therefore has less mass to move, so you'll use less fuel. Clear out the boot, get the kids' toys out of the back seat, and don't carry around anything else you don't need – but maybe hang on to the spare wheel. 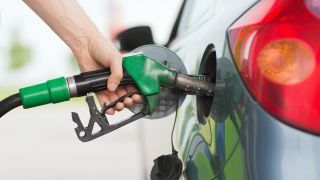 Talking of weight, a full tank of fuel significantly adds to your overall bulk, so when you're at the filling station consider whether you really need to brim the tank. Regular stops for less fuel will give you a better mpg return. If your tyres are under-inflated then your rolling resistance increases, thus increasing how much fuel you need to maintain a given speed. So inflate your tyres to the recommended pressure, and check them regularly. Keeping the windows and sunroof closed when you're doing over 45mph will reduce drag, which in turn will reduce fuel consumption. Most of us don't bother to do this, but planning your journey before you leave can help you to avoid traffic jams and roadworks. The less time you spend driving, the less fuel you use – obviously! Have you been lugging that roof box or bike rack around all summer because you can't be bothered to spend five minutes taking it off? Every minute it's on your car it's costing you money by increasing both weight and drag. So take it off. The more, erm, enthusiastically that you drive, crashing through the gears with your speed all over the place, the more fuel you'll use. Conversely, the more 'even' your driving style, the better your fuel efficiency. So avoid sharp, late braking and heavy-footed acceleration. When you're on the motorway, every 10mph faster you go over 50mph reduces fuel economy by about 14%. That's not to be ignored. If you have a hybrid, learning how best to recharge your battery from the onboard systems is a great way of getting power back. Gentle braking will help the regenerative energy process for example, which will let you stay in EV mode for more of the time. In hybrids such as the Toyota Prius, if you put the car in neutral when stationary then electricity will stop being generated but the battery will still discharge – find out if your electric car does this too.